What is the perfect conservatory style for your home? Conservatories are the most popular extension choice for UK homeowners. Their hassle-free installation compared to a standard brick-built extension and bright and airy feel has proven a hit with many people wanting to extend their home. If you’re thinking about a conservatory installation for your home, Budget Windows can help. Conservatories come in all shapes and sizes. 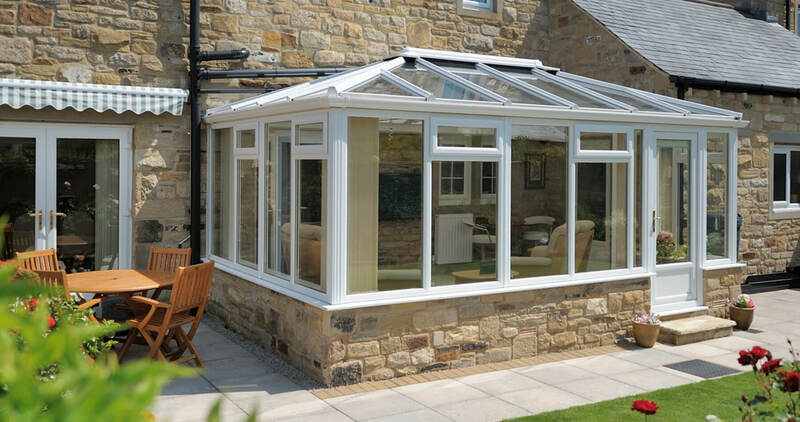 From period influenced styles to more contemporary designs, there’s sure to be the perfect conservatory to complement your home’s character. You may be overwhelmed by the plethora of options available. At Budget Windows, we’re here to help. Our expert installers will visit your home and offer advice so that you can make the right decisions for your home extension plans. The style of conservatory you choose will depend on your property type and the desired function of your new glazed extension. Victorian style conservatories are the most popular choice. Their timeless classic style is suited to both new-build and traditional properties and their curved bay-style aesthetic provides panoramic exterior views and admits an abundance of natural light. Georgian style conservatories are another popular choice. Their steeply pitched roof creates a feeling of height to the conservatory’s interior living space and looks impressive from the outside. Square or rectangular in shape, they are easy to furnish and will suit the architecture of almost any property type. The most cost-effective conservatory choice is the Lean-to conservatory. Its modern style and large expanses of glass are perfect for properties where space is at a premium. The Lean-to conservatory’s roof can be pitched at varying degrees making it ideal for installations on bungalows and dormer-style properties where it can be installed below the level of the eaves. If you live in a large detached property, a P-shaped conservatory is an excellent choice. Combining the Victorian and Lean-to style conservatories, they often run the entire width of the existing property and can be linked to the interior of your home at two separate points. Due to their size, P-shaped conservatories are often used to create two distinct areas, eg. a dining area linked to your kitchen and an extended lounge space. If you’re planning to extend your home with a new conservatory or you’d like to update your existing conservatory, contact Budget Windows today. For more information about any of our products and services call us on 01727 832 333 or send us a message online.